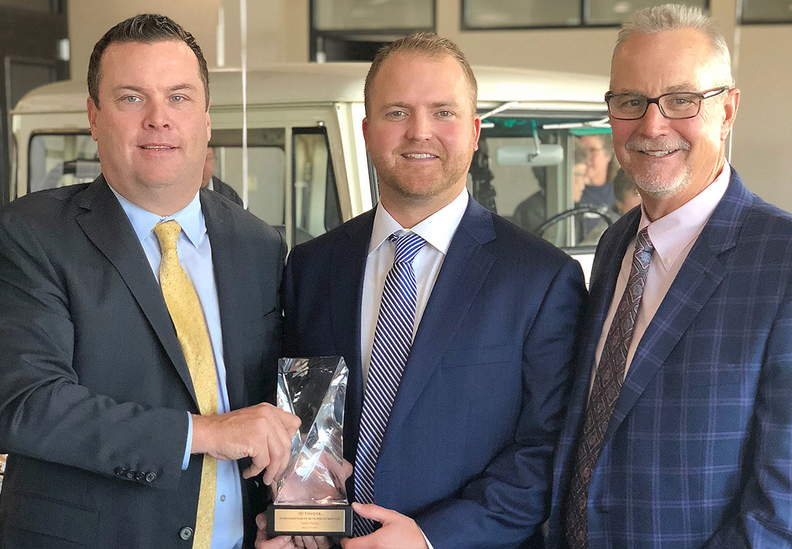 Brad Lewis, center, general manager of Lewis Toyota of Topeka in Kansas, and Jim Lewis, right, dealer principal, receive a 50-year award from Kevin Curran, Toyota Motor North America’s general manager for the Kansas City region. A Drive4Kids event at IndiGO Auto Group’s BMW of Palm Springs in California raised $21,000 for charity. At the third annual event, guests drove on the BMW Performance Center’s 1.3-mile road course in Thermal, Calif. All proceeds benefited the Barbara Sinatra Children’s Center. Members of the Greater New York Automobile Dealers Association collected more than 8,000 winter coats as part of this year’s New York Cares coat drive. The association had 180 collection sites. Since joining the New York Cares effort in 2012, the association has collected more than 50,000 coats.